New registrants who sign up here get FREE access to Inside Texas’ premium content until the Orange-White Game. Get the best team and recruiting info from Justin Wells, Eric Nahlin, Joe Cook, Scipio Tex, Ian Boyd, and more. Iowa State head coach Matt Campbell has a nice slogan for the process his teams use to develop their identity for the coming season. He picked it up from his early days at Mount Union under Larry Kehres, who built the Purple Raiders into a program that won 11 DIII national championships over 26 seasons before handing it off to his son Vince who’s gone 84-5 while adding two more championship banners. The slogan even has an acronym, PFP (Players, Formations, Plays). Campbell starts by figuring out who his best players are, what sorts of formations set them up for good matchups, and which plays allow them to go out-execute their opponent. Conceptually the Cyclones like inside zone and play-action for all the ways it can allow them to tweak the scheme to accommodate a wide variety of player strengths and formations. Sound familiar? If Texas has a similar process, and it seems that they do, they are currently in phase two, searching for the best formations. 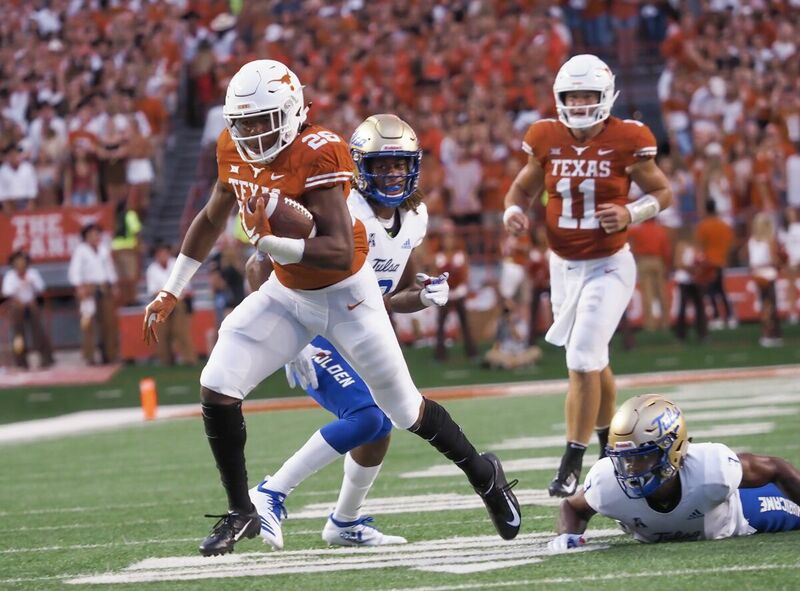 Texas knows what they have in Sam Ehlinger, Collin Johnson and Devin Duvernay, they’re figuring out what Keaontay Ingram is up for, and they seem to have found Jordan Whittington, Kirk Johnson, Josh Moore, Bru McCoy, and Brennan Eagles to be useful weapons as well. We will likely see Texas explore some packages and formations beyond last year’s base 11 personnel setup in order to make the most of a loaded skill roster.